Muzaffar is a Post Doctoral Researcher in the Centre for Robotics and Intelligent Systems (CRIS) at the University of Limerick. His research activities include proposing a “Bump In The Wire (BITW)” security solution to provide a secure communication between ROV and control station. Muzaffar obtained B.E. degree in Electronic from Sir Syed University of Engineering and Technology (SSUET), Karachi, Pakistan and M.E. 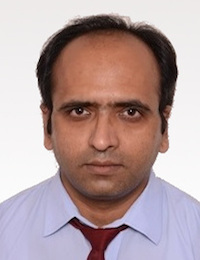 degree in Electrical (Specialization in Telecommunication) from NED University of Engineering and Technology Karachi, Pakistan in 2005 and 2009 respectively. He finished his PhD at the University of Limerick, Ireland, under the supervision of Dr Thomas Newe in the Centre for Robotics & Intelligent Systems (CRIS) in January 2017. Further information can be found on Muzaffar’s UL Research Profile.